I'm kicking it off with my favorite find from last month because I just found these last week and was SO excited about it! I love everything about these sandals; the color, the buckles AND that they are magically my size. It has a slight wedge that sits at a comfortable height and they zip up the side so you don't have to undo the buckles. I can't wait for the weather to warm up enough to wear them! They will look so cute paired with a shirtdress. Three brand new scarves from Target's A New Day line were waiting for me at Goodwill and they are SPRING. MUST. HAVES. 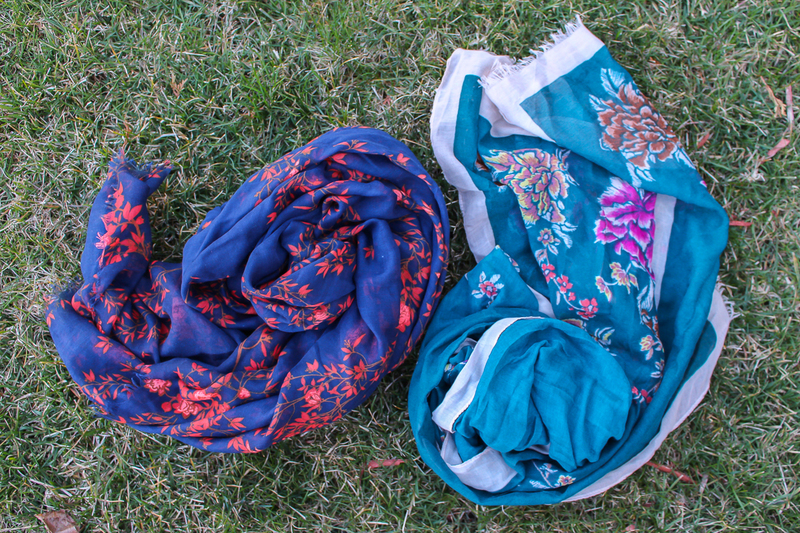 I just featured one of the scarves in my previous spring outfit post. The other two are also floral patterns with bright colors and a soft, lightweight material. These will really pop against a denim jacket. You can still shop them at Target here and here. This blouse was buried in the Goodwill racks and I pulled it out because the color caught my eye. 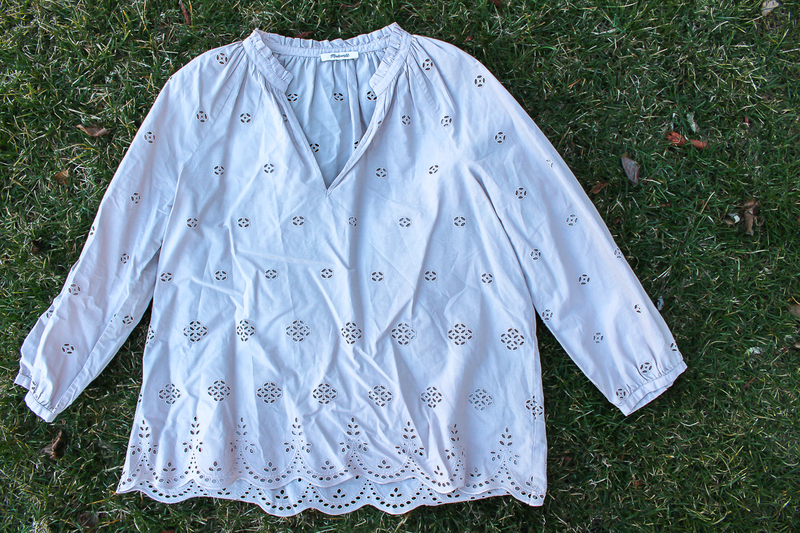 It has a flattering neckline and the eyelet details are so pretty and playful for spring. I'm not a fan of blouses that are sheer and see-through , but luckily this shirt is a heavier, solid fabric. 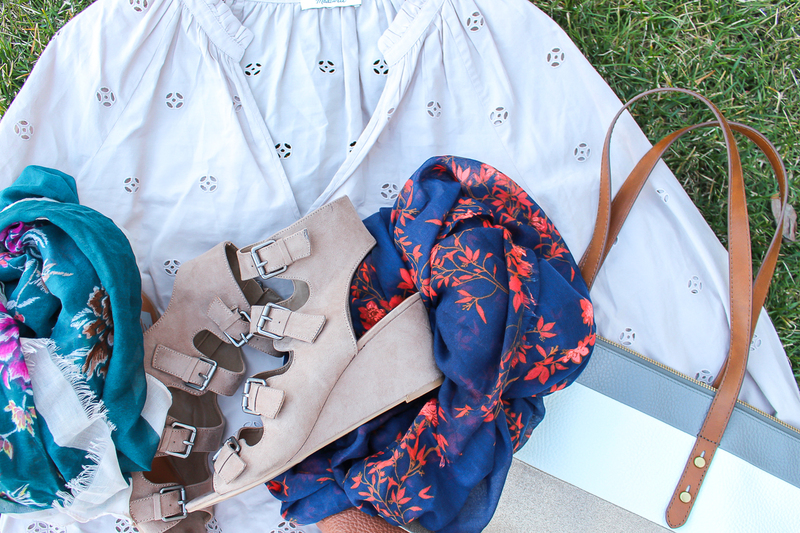 Madewell finds are the best at the thrift store. I can see this top paired with dark jeans and wedges. I don't know about you, but a new season always makes me want a new handbag. 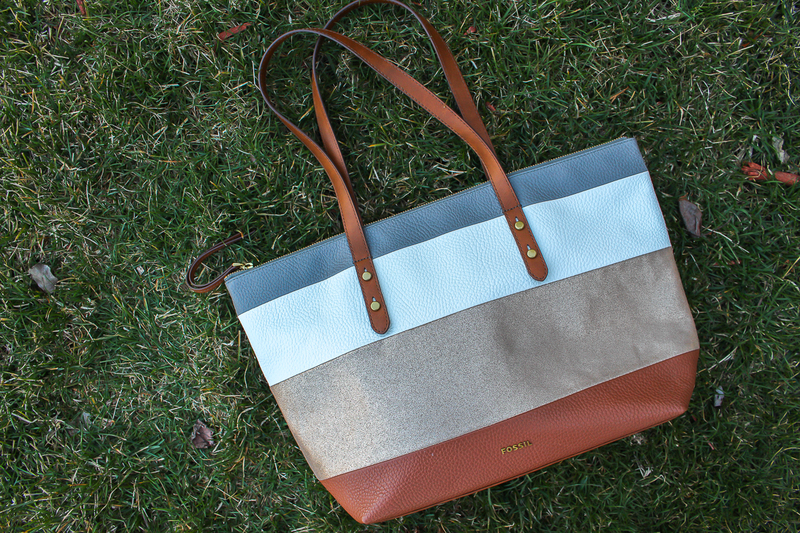 I spotted this Fossil tote at a local resale store and immediately loved the striped design and color combo. Although it's a tote style, it is definitely not a tote size so I think it makes the perfect everyday handbag. The pebbled leather is extra soft too, making it easy to carry AND it has pockets. Now is the time to get thrifting as the spring and summer gear begins to hit the racks. You never know what you will find!